Product prices and availability are accurate as of 2019-04-21 01:40:17 UTC and are subject to change. Any price and availability information displayed on http://www.amazon.com/ at the time of purchase will apply to the purchase of this product. Let the world know who you root for with an Acrylic Laser Tag that features your favorite team's logo. This laser-engraved, mirrored license plate looks sleek on the front of your ride.A terrific gift item. 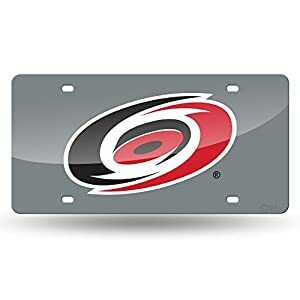 Officially licensed by the Carolina Hurricanes and the NHL.